A new shuttle service is bringing Las Vegas visitors to Boulder City. (National Park Express) A tour company is now offering round-trip shuttles to Boulder City from the Strip. Tickets start at $25. The Boulder City Express was launched Friday, March 15, by the National Park Express shuttle service to increase accessibility of the town’s attractions such as the downtown historic district, Hoover Dam and Lake Mead. National Park Express caters to tourists in the Southwest, connecting travelers to national parks, cities and destinations in Arizona, Utah, Nevada and California. “We are very excited to make Boulder City more accessible to the tourists at the Las Vegas corridor,” said David Lusvardi, vice president of public relations for National Park Express. Lusvardi said the company is hoping to increase foot traffic for restaurants and businesses in town as well as improve its accessibility to visitors to the Strip. “Many of them don’t even know the gem Boulder City is,” he said. National Park Express has arranged for Boulder City Express passengers to receive discounts for purchases at various downtown restaurants and retailers. The shuttle plans to make four trips a day from the Las Vegas area to Boulder City. Passengers may select from at least six stops including the historic district, adventure hub, Lake Mead National Recreation Area and Hoover Dam. 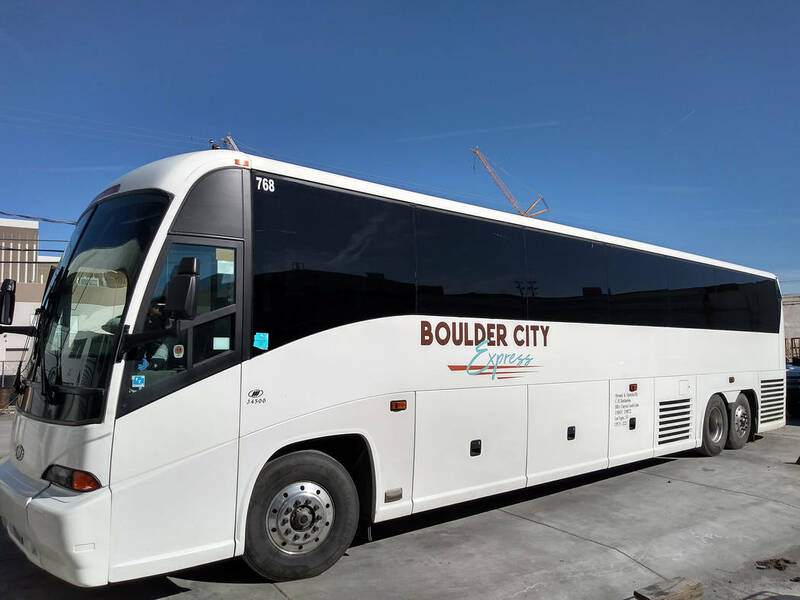 Lusvardi said the goal is to increase frequency of the shuttles as well as provide an option for overnight stays in Boulder City as the shuttle service’s popularity grows. Additionally, they hope to create a “circulator bus” to transport visitors throughout the community. Round-trip shuttle tickets start at $25; they vary by destination. The company offers several hotel pickup options for ticket holders. For more information or reservations, visit https://www.nationalparkexpress.com/bce. Boulder City Review Editor Hali Bernstein Saylor contributed to this report.